It’s a common story: you set your alarm for 6.30am with every intention of hitting the gym before work. But you don’t. In fact, you might stay in bed for another hour and a half past that. 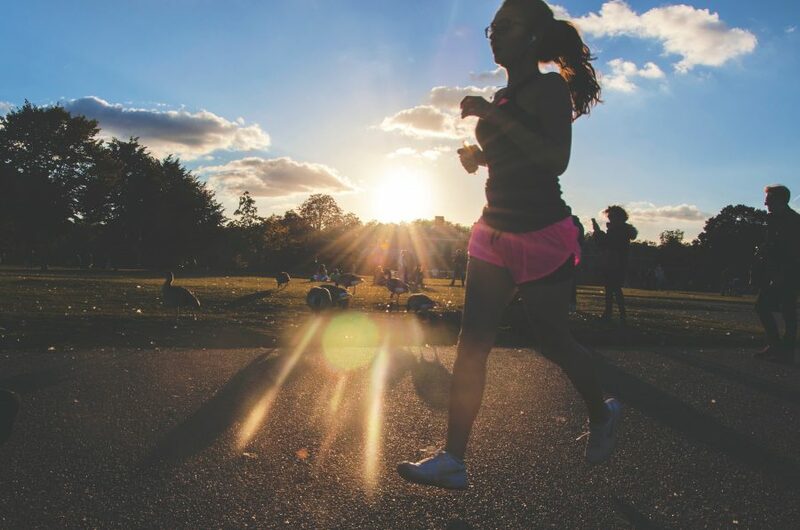 With the aim of finding an additional boost of motivation for tomorrow morning, here’s a reminder of six very important life-changing benefits that come from dragging yourself out of bed for some fresh air and exercise. In a recent study by the British Journal of Health Psychology, scientists tracked changes in a group of students who went from no physical activity at all to two to three sessions a week, and the results were pretty eye-opening. And not just in terms of physical health benefits. The best part of the study is that the participates didn’t need to exercise every day, nor did they need high intensity work outs to see results. It was a modest program. And as for getting started, squash the excuses. It only takes a few tiny tweaks to your routine to get there. This is crucial. It’s no longer up for discussion that a regular fitness program can improve mood and decrease stress, anxiety and depression. In our current culture of busy work and busier social lives, mental illness is on the increase. Start getting active, and any difficult or dramatic situations you face will seem less daunting to overcome. This goes hand in hand with reducing stress levels. The less stress you carry on your shoulders, the less likely you’ll self-medicate with drugs or alcohol. Get into a regular fitness regime – even if it’s low-intensity like yoga, walking or dancing – and you might find yourself sneaking less weeknight wines without even trying. Whatever it is that you choose to dedicate your brain power to, exercise will help you focus. Whether it’s hitting the books to study, increasing your output at the office, or concentrating on your creativity, being active will help you stay focused for longer. And it’s not just us saying that – science backs it up too. Dr. John Ratey, a professor at Harvard, says in his book Spark: The Revolutionary New Science Of Exercise and The Brain that working out will increase your focus for up to three hours afterwards. So, try some activity before an important meeting or social engagement and you’ll bring nothing less than your A-game. This new focus will increase your memory too. The students in the British Journal study had dramatic improvements in their diets after they started to exercise. So, if you’re someone who regularly strays from their heathy eating plan, start riding your bike to work or get involved in a roller derby club and it could act as the helping hand you’ve been looking for. It’s a chicken and the egg scenario: your feeling fatigued and don’t have the energy to exercise. But nature works in mysterious ways and if you push yourself the first few times, your body will become used to the new level of activity and you’ll start feeling more energetic. It won’t take long until you’re waking up bright-as-a-button and ready to hit the treadmill again. As a bonus, the study also proved that after starting to exercise the students were better at keeping on top of housework and attending social commitments too, so that newfound energy was all going to good use. The study concluded that there was a dramatic increase in self-control once these inactive worry-warts were up and moving. Pushing themselves to say ‘yes’ when their body was telling them ‘no’ taught mind over matter, which gave them the ability to make better life decisions. And we could all do with a little help there.